A lot of people would always say women are like flowers, more than beautiful, they’re delicate and should be taken cared of, because the more you care for it the more it will reward the gardener with beauty and splendor. 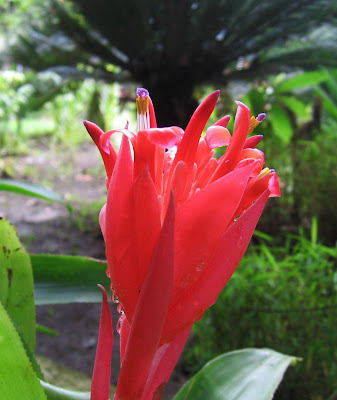 They say it more that different flowers also have different meaning and significance, I don’t know what the meaning of bromeliad flowers is, I’ve been ‘googling’ for it but it did not give any substantial meaning. I just thought I would just give one …. I think this represents a strong and vibrant woman. That is one gorgeous flower. I just love that deep, vibrant color. in behalf of FOS, welcome to the group te...eheheh! sos ka nice sa imong entry...very pretty! You have shared a nice photo.I agree with you flowers and women have one same quality and that is both are delicate.You have got great job.Thanks for sharing.